Today, I want to talk with you about a very important topic. There’s one question that each and every one of us must answer…”Who or what am I living for?” For you to have real purpose in life—to be the kind of husband, wife, mom, or dad you were created to be—you must know the answer to that question. 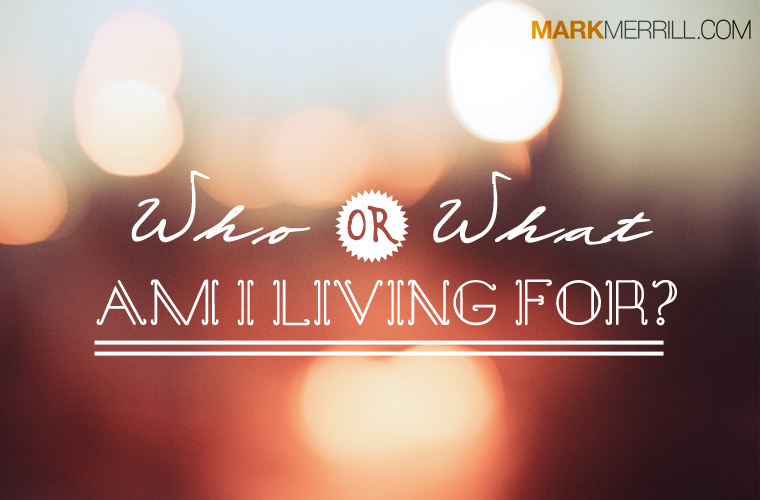 If you don’t know the answer to this question, then you’ll float through life, you won’t have a purpose, you’ll never truly be content, and you won’t be able to help your kids with the answer to this question either. Listen to today’s episode as I tackle this important question. What consumes your thought life?